If you have a small business in Melbourne and need a website, Magicdust is the web design agency for you. Since 2006, we have created more than 6,000 websites. Our hallmark is high-quality, affordable web design. 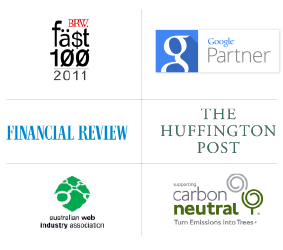 We work with small businesses in Melbourne and throughout Australia. Our goal is to help small business owners effectively use the internet to promote their business. Our dedication has made us one of the leading web design and development companies in Melbourn. Magicdust designs websites that make your brand stand out—and help your business grow. We do this by keeping abreast of current online marketing trends and combining them with great web design. We know how busy you are, so we keep our process simple. Our web designers in Melbourne get to know your business and your audience, understand your goals, and learn about your competitors. This in-depth knowledge ensure a website design that works for you. Your new website begins with an online strategy based on your small business goals. We start with your brand, and move on to the website development and ongoing marketing support. We will build your website in WordPress, which is the ideal platform for presenting business content, blogs and newsletters, menus, prices, subscription memberships, industry specific functionality and more. If you need an ecommerce, we can build you a robust, full-function online storefront that is designed specifically for managing and selling online. Whatever your ultimate vision for your site, we will set you on the right path. Our team of account managers, designers, developers, marketers and strategists located in Melbourne are masters of planning a website for the ground up. Using the WordPress content management system (CMS) provides you with a simple way to manage the content that will go on that site—and to regularly update it. WordPress is search engine friendly, intuitive and easy to use. Your new website will be able to grow with your business today, and tomorrow. 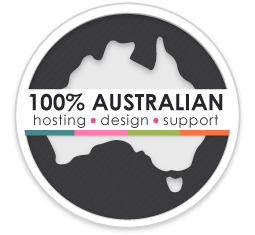 Why Choose Magicdust for your Melbourne Web Design Project? Great reputation. We’ve helped over 1000 Melbourne small businesses get online.